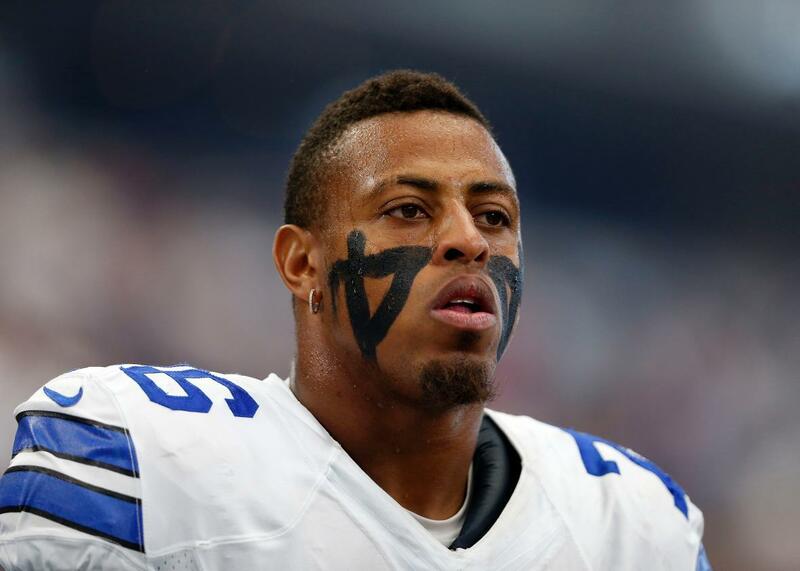 Deadspin releases horrifying photos, account of night Greg Hardy was arrested on domestic assault charges. Defensive end Greg Hardy of the Dallas Cowboys on the sidelines before a game against the New England Patriots in October 2015. Deadspin has released a harrowing account of the night Pro Bowl defensive end Greg Hardy was alleged to have assaulted his ex-girlfriend Nicole Holder, along with previously unreported photos of the injuries that happened to Holder during the incident. Hardy, who was convicted of assault only to see the case overturned on appeal and ultimately dismissed because Holder stopped cooperating, has now had those charges expunged from his record, the Charlotte Observer reported on Thursday. Reporter Diana Moskovitz’s Deadspin account—based on hundreds of pages of police reports, interview transcripts, and other documents—paints a horrifying portrait of the night in question. Holder told officers and a bench trial that Hardy threw her against a tile bathtub area, dragged her from the tub by her hair, threw her on a futon covered in assault rifles, and choked her, all details that had been previously reported. But Moskowitz tied together previously available documents and new ones in a way that had never been done before and accompanied it with dozens of photos of Holder’s bruises and injuries that night to her back, arms, legs, chin, neck, and foot. The NFL and the Dallas Cowboys, Hardy’s current team, did not respond to Deadspin’s request for comment. Hardy—one of the best pass rushers in the NFL—played the first game of the 2014 season with the Carolina Panthers despite his arrest but was deactivated when the uproar over Ray Rice’s domestic assault reached a fever pitch and he missed the rest of the season. He was supposed to be suspended 10 games this season after an NFL inquiry into the case, but an arbitrator reduced the suspension to four games. “The NFL and NFL Players Association saw seven photos while considering a punishment for Hardy in April,” ESPN.com reported. Deadspin reported last month on the league’s lengthy campaign to acquire those photos—which had’t been released publicly to anyone else. The league was embarrassed last year when video of Rice brutally assaulting his then fiancée was leaked to TMZ after the NFL had determined he would serve a short two-game suspension. Rice was ultimately booted from his team, the Baltimore Ravens, and hasn’t returned to the league since. But, as Moskowitz points out, Hardy is a much more valuable player at this point in his career than Rice was when he was banished. Since returning to the league with his new team, Hardy has continued to attract negative attention and play football tremendously well. He made a rap video featuring strippers, made comments about the attractiveness of Tom Brady’s wife that drew the disapproval of his head coach, and got in a fight with a special team’s coach in the middle of a game. For this last incident, Cowboys owner Jerry Jones called him “one of the real leaders on this team.” He has three sacks, one forced fumble, and one interception in three games this season. Deadspin has made its entire cache of Hardy documents available online, but you really should read Moskowitz’s powerful piece in full.